Kids and candy just seem to find each other, especially at holidays like Valentines Day. 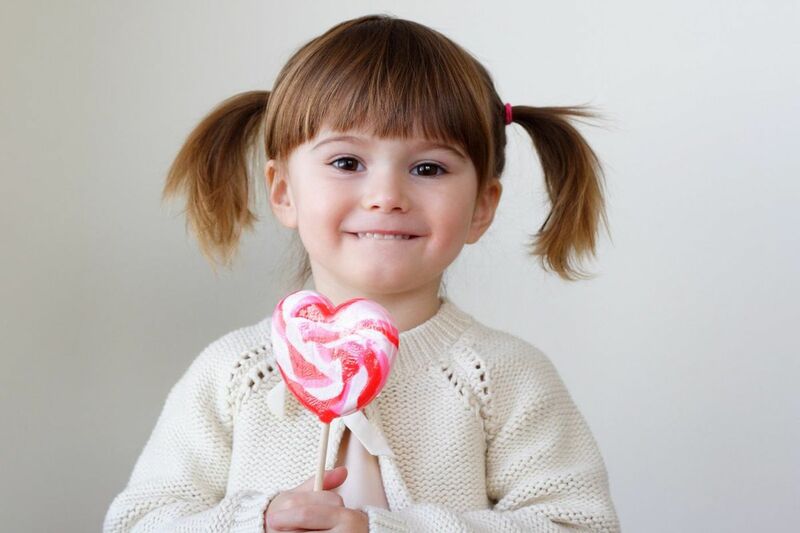 Many children will receive lots of candy on Valentine's Day, so it's probably no coincidence that February is National Children's Dental Health Month. But what is it exactly about sweet treats that make them so perilous for our teeth? Candy, chocolate, cookies and cupcakes are among the food items that contain fermentable carbohydrates — sugars that work hand-in-hand with bacteria to produce acid, which can result in cavities and tooth decay. And especially at holidays, the treats may be constant. Reduce exposure time: While eating a lot of candy is never good, some candy does less damage to the teeth than others. Try choosing candy that quickly melts or disappears, as it will have less time to leave sugar behind in the mouth. Sugar-free candy would be a better option for teeth in replace of sugar straws or lollipops. Plain dark chocolate is recommended over milk chocolate or chocolates with a sugary filling, such as caramel or cherry. Brush immediately: Brushing right after eating candy helps remove sugars that help form acid and plaque. If a toothbrush and toothpaste aren't readily available, swish and rinse teeth thoroughly with water. For children who are old enough, or who have adult supervision, small bottles of mouthwash used to swish and rinse provide a temporary fix. Make it a one-time event: From a dental perspective, it's best to eat treats in one sitting (and then brushing), rather than munching on candy throughout the day or week, which makes it more likely bacteria to produce acid and cause dental decay. Good oral hygiene should be practiced year-long and stressed in the household. All children should be seen by a dentist by the age of one, and from then on, twice a year. If your child complains about tooth pain be sure to contact your dentist. For additional information on good oral health basics, consult the oral health page of the Centers for Disease Control and Prevention.